The imaging expert founded two of the world’s first laboratories dedicated to using nuclear magnetic resonance to study biological molecules. Oleg Jardetzky, PhD, a pioneer in the use of nuclear magnetic resonance to understand the structure and dynamics of proteins, died Jan. 10 at his Stanford home after a period of declining health. He was 86. Jardetzky, a professor emeritus of molecular pharmacology at the Stanford University School of Medicine, founded and served as the original director of Stanford’s Magnetic Resonance Laboratory, one of the world’s first and premier facilities dedicated to using nuclear magnetic resonance for biological research. Nuclear magnetic resonance is a phenomenon, discovered in 1938, in which the nuclei of atoms in a magnetic field absorb and re-emit electrochemical radiation. Another Stanford professor, Felix Bloch, PhD, won the Nobel Prize in 1952 for his contributions to developing NMR. Soon researchers realized they could use the pattern of radiation emitted from a substance to extrapolate its structure. Researchers began using the technique to analyze chemicals, but it wasn’t until the mid-1950s and 1960s that Jardetzky and a few others with a biological bent applied the technology to biochemical molecules, like proteins. Over his more than 40 years of research, Jardetzky became an internationally known authority on applying the technology to biology. He served terms as leader of the field’s several major scientific societies, co-authored more than 250 scientific articles, was named a fellow of the American Association for the Advancement of Science and was awarded an honorary medical degree from the University of Graz, in Austria, and an honorary doctorate from the University of the Mediterranean (now Aix-Marseille University). He also established an international NMR conference, held every summer in Erice, Italy, and co-founded the annual International Conference on Magnetic Resonance in Biological Systems. Jardetzky was born in Belgrade, Yugoslavia, the son of Russian immigrants. His father, Wenceslas Jardetzky, PhD, was a well-known geophysicist and authority on celestial mechanics, and his mother, Tatiana, was a professor of French, German, Russian and comparative literature. After his early education, which was in Yugoslavia and Austria, Oleg Jardetzky attended two years of medical school at the University of Graz. In 1949, a scholarship to Macalester College in St. Paul, Minnesota, led him to move to the United States. He graduated from Macalester in 1950, married his first wife, Christine Drakakis, PhD, in 1952, and earned an MD in 1954 and his PhD in 1956 from the University of Minnesota. Jardetzky spent the following year at Caltech as a National Research Council Fellow, working with Nobel laureate Linus Pauling, PhD, studying the structure of water. He burned the midnight oil to pursue his own research: nuclear magnetic resonance studies on amino acids and proteins, using a chemistry professor’s NMR machine from 10 at night until 2 in the morning. In 1957, Jardetzky joined the Harvard Medical School faculty and founded the first NMR laboratory dedicated to biological research. He worked there for 10 years, establishing the foundation for future research in this field. He married his second wife, Norma Gene Wade, in 1964, and in 1967 they moved to New Jersey so he could work for Merck, Sharp and Dohme Laboratories, first as director of the biophysics department, then as executive director of the Merck Institute. In 1969 he joined the Stanford faculty as a professor in the Department of Pharmacology (renamed the Department of Chemical and Systems Biology in 2006). “He loved the academic freedom to explore scientific questions independently,” said one of his sons, Theodore (Ted) Jardetzky, PhD, a professor of structural biology at Stanford. Oleg founded the Stanford Magnetic Resonance Laboratory and directed it from 1972 to 1997. At Stanford, he trained and inspired students to push the boundaries of science, and many went on to leadership roles in the field. “Oleg was a very forceful presence, and he used that to motivate the group and tackle entire new areas for the first time,” said Opella. In 1975, he married Erika Albensberg, PhD, who had been a close friend in Austria. Together, they enjoyed visiting friends and family there, traveling the world and having guests at their home. He certainly prepared his students and postdocs for academic life and what was needed to succeed. Jardetzky continued developing NMR technology methods until they were useful for imaging proteins and nucleic acids. “It took us 20 years, but we did it,” he said in the 2015 interview. Beyond laying the foundation for NMR methodology, he made important discoveries about the structures and dynamics of proteins. In the 1960s, he proposed a model for membrane protein transport that was validated decades later. He contributed pioneering studies of enzyme mechanisms, investigating a ribonuclease protein that breaks down RNA into smaller components, and the regulation of gene expression by the tryptophan repressor. Jardetzky was awed by nature, not only at the molecular level, but at the macro, too, Ted said. “He found nature comforting, and especially loved being close to the ocean,” he said. “He found peace in the beauty of the ocean and the mountains, and felt a spiritual connection to the world there.” Jardetzky owned a beach house on the south shore of Massachusetts and spent as much time as he could there with his family, swimming in the ocean, clamming, going out in a boat to fish and watching fireworks on the Fourth of July. “He also loved history and being surrounded by the ‘old stones’ of European cities and towns — things that had survived and helped to keep us connected to the past meant a lot to him,” Ted said. “He enjoyed celebrating his Russian traditions, exploring different cultures, listening to classical music — and also smoking his pipe, voicing his opinions, painting, dabbling in ceramics and collecting historical books of significance.” He published two history books, and one of these, on the history of the Polish clan Ciolek, received a prize of the International Union of Heraldry and Genealogy in 1998. 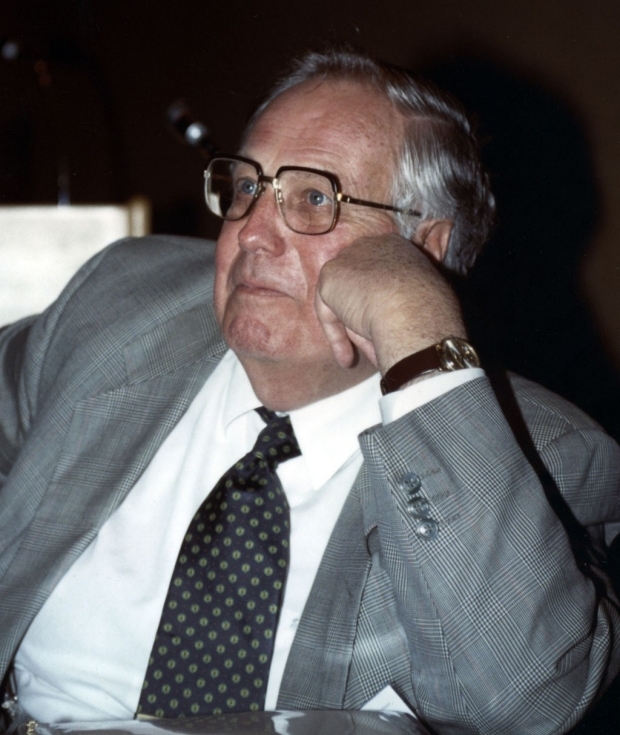 Jardetzky retired and closed his Stanford laboratory in 2006 but continued to attend seminars and departmental functions for several more years. He also continued to publish, mostly historical articles, on the early history of NMR and on the Russian emigration due to the revolution of 1917. His wife, Erika, died in 2008. In addition to Ted, he is survived by sons Alexander Jardetzky and Paul Jardetzky, four grandchildren and two step-grandchildren. Memorial donations in memory of Jardetzky may be made to Macalester College (the Engel-Morgan-Jardetzky Distinguished Lecture on Science, Culture and Ethics), Davis and Elkins College (Tatiana Jardetzky Scholarship for Foreign Languages and Cultures), or the Lamont-Doherty Earth Observatory at Columbia University (the W.S. Jardetzky Lecture).